For me, the star player in that line-up is Assault Android Cactus. In the realm of twin-stick shooters, it is absolutely a stand-out title. It is friendly enough that players of all familiarity levels can hop in and have fun, but there is such an intriguing depth. Seriously, look up some competitive/high score play to see just how crazy it can get. 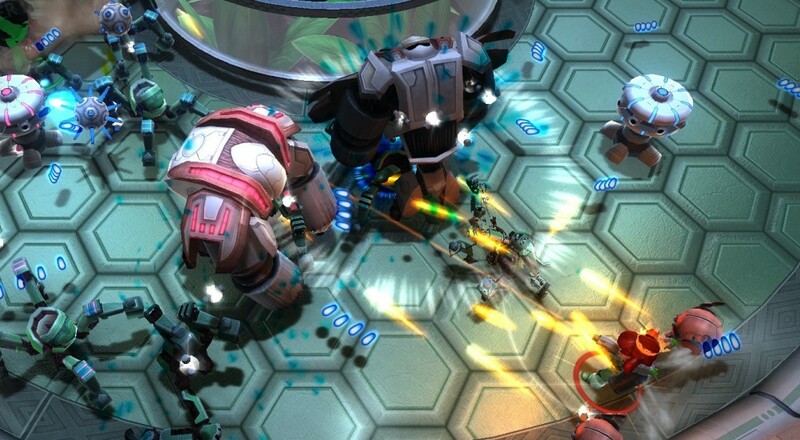 So if you like twin-stick shooters and want a great couch co-op game, definitely pick up Assault Android Cactus. As for the other two co-op titles, I know quite a few folks on staff were fans of Spliner Cell Conviction back in the day. Now that it's backwards compatible and free to pick up/own, seems like a good time to dive back in and engage in some covert action with a buddy. Death Squared is a very interesting co-op puzzle title that will challenge your brain and, at times, your friendships.